GOOGLE EARTH GIVES YOU THE OPPORTUNITY TO GO AND SEE ANYWHER - ProudMummy.com the Web's Community for Mums. GOOGLE EARTH GIVES YOU THE OPPORTUNITY TO GO AND SEE ANYWHERE IN THE WORLD... SO WHAT DO YOU DO? 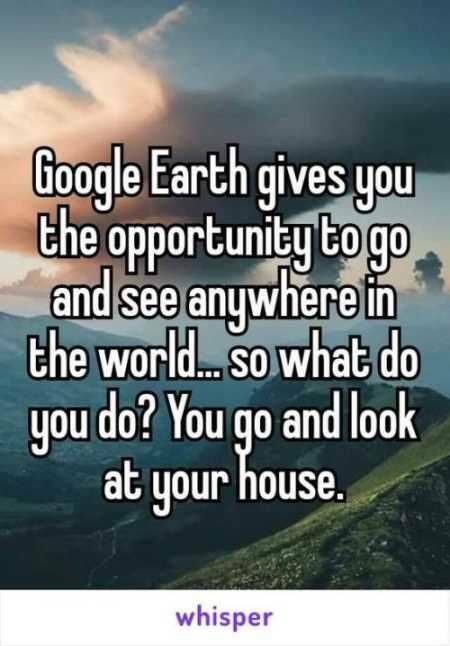 YOU GO AND LOOK AT YOUR HOUSE.